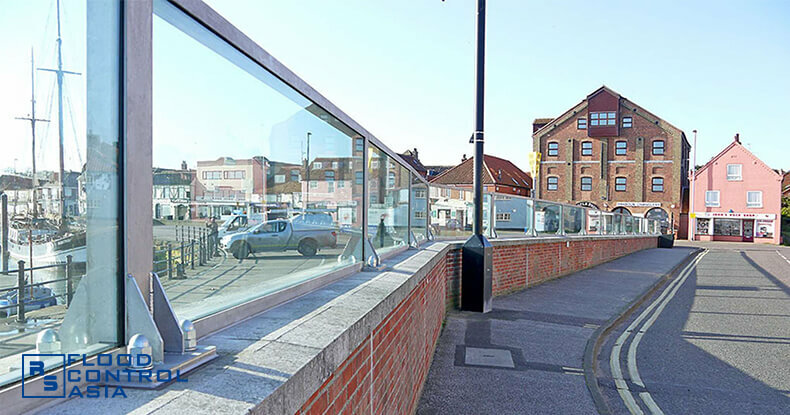 Why are Flip-Up Flood Barriers called ‘unobtrusive flood protection’? True, Flip-Up Flood Barriers are a permanent protection. However, they are fully recessed into the ground. This makes the Flip-Up Flood Barriers unobstructive. Automated Flip-Up Flood Barriers can accommodate entry points as wide as 12.00 meters (with maximum flood height of 2.00 meters). 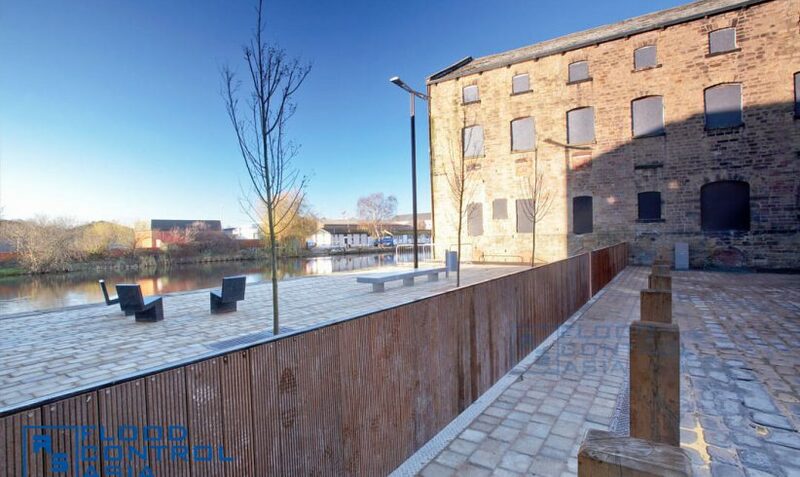 Watch this video and see how this hydraulic flood barrier system works! Since they are automatic flood barriers, they can spring into action when there’s a threat of flood. They can be operated remotely through a push-a-button mechanism that has a reliable backup in case of power blackout. The automated Flip-Up Flood Barriers are suitable to public squares. 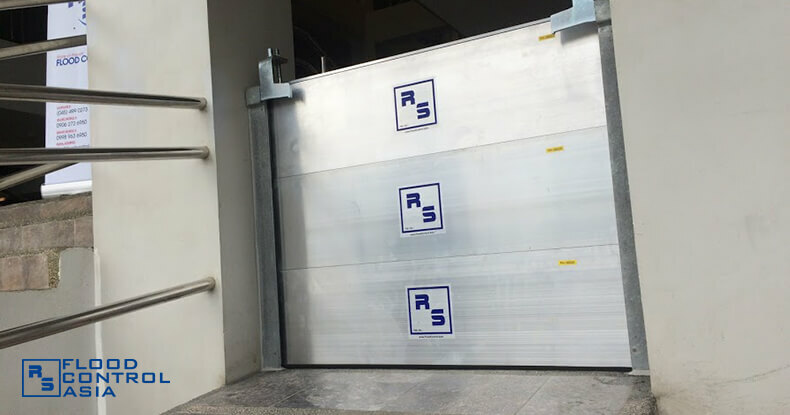 Since they rely on a hydraulic flood barrier system, they can always be lowered down to accommodate any scenario where a ground-level passage is required. 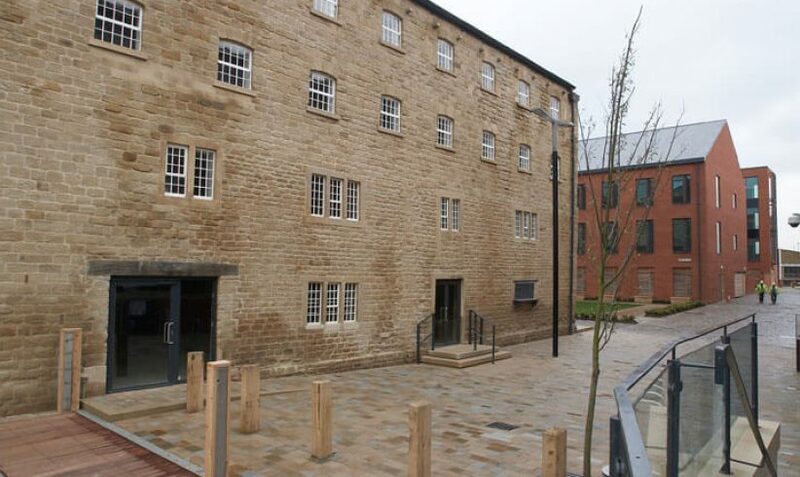 These automatic flood barriers can also serve underground car parks or basements. 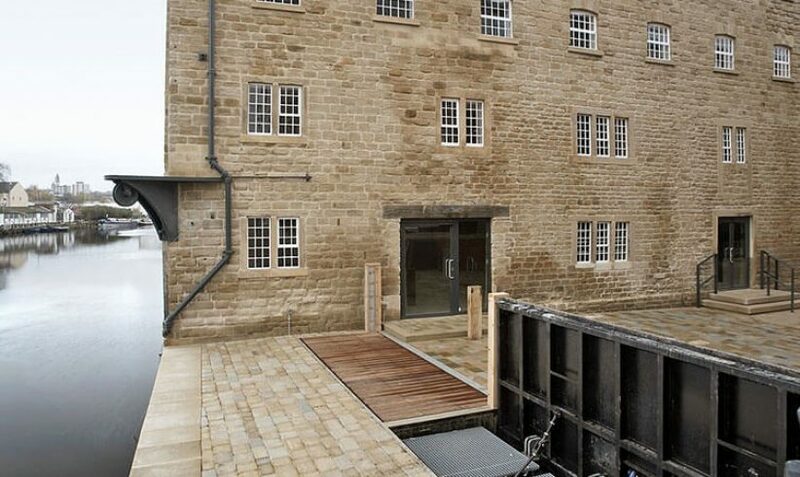 Flip-Up Flood Barriers are the suitable protection for historic and scenic sites, where total flood protection must not alter the environment’s aesthetics. 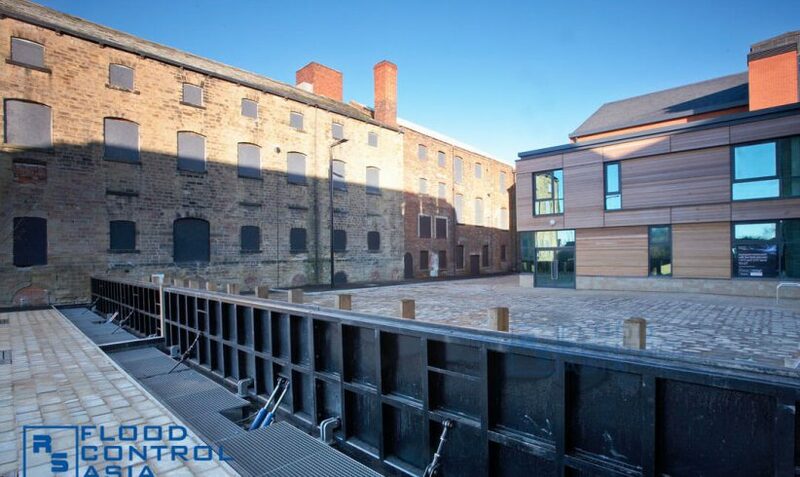 This hydraulic flood barrier system can be furnished depending on the surroundings. It can be coated with a skid-resistant epoxy or paved with timber-like surface (timber clad). The Flip-Up Flood Barriers are designed to accommodate large spaces, like town squares or sea sides. The Flip-Up Flood Barriers are fully automatic, which means they can immediately rise at the onset of flooding. These automated Flip-Up Flood Barriers can resist strong water pressure, as they are made from high-grade steel. These hydraulic flood barriers can be installed in multiple systems, with posts separating each of the panels. 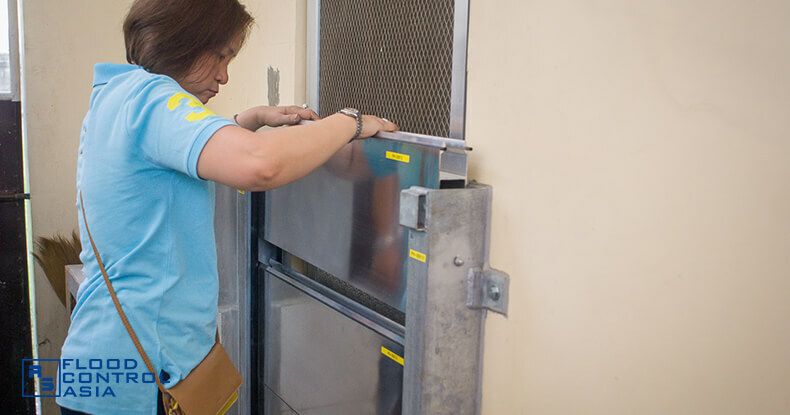 When not in use, the Flip-Up Flood Barriers are safely recessed to the ground. 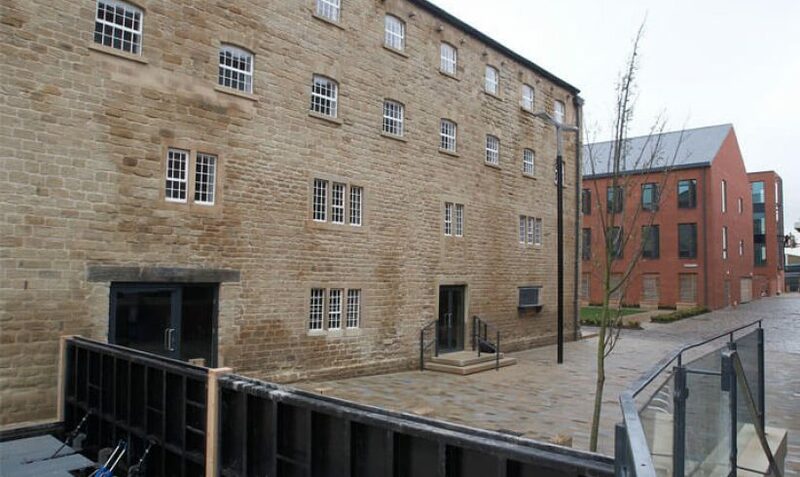 The Flip-Up Flood Barriers are also ideal for warehouses and vehicle entrances. The Flip-Up Flood Barriers are fully recessed to the ground. A 24-volt power backup is available in case a total energy blackout occurs. 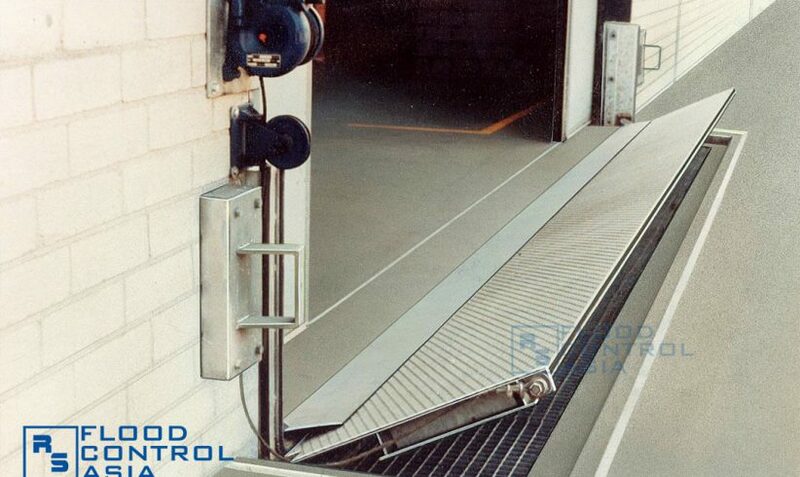 Through a remote control mechanism, these automatic flood barriers can spring into action when there’s flood. The flip-up type can be furnished with various coatings and designs so as to adopt with its environment. How do you know if you need Flip-Up Flood Barriers? You need Flip-Up Flood Barriers if you own a big industrial site, underground parking, or if you want a flood control solution that DOES NOT require manual operation and DOES NOT alter the area’s aesthetics. Is this type an automatic flood barrier? It is self-activating and self-closing. A sensor rigged to it allows it to detect the threat of flooding. With this mechanism, there is no need to manually push a button to operate the Flip-Up Flood Barrier from a remote control center. Can the Flip-Up Flood Barrier accommodate large areas? Yes! 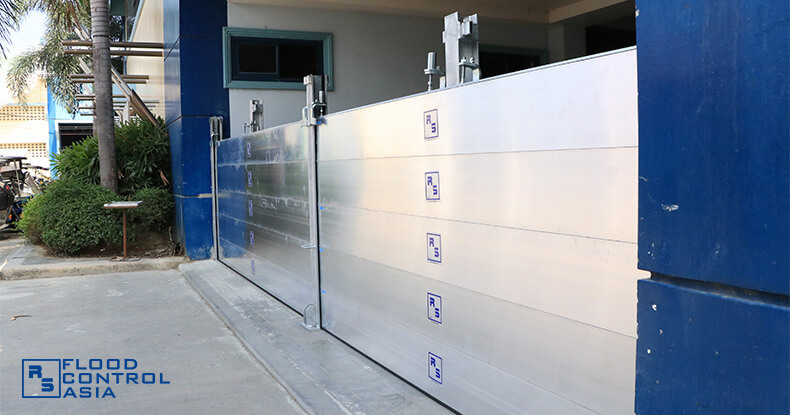 Flip-Up Flood Barriers can be installed to a maximum width of 12 meters. Multiple systems can also be installed with posts in between. So, this automated Flip-Up Flood Barriers rely on electric power. What if there’s a power outage? The Flip-Up Flood Barrier has a 24-volt back-up system that will ensure its continuous operation should the main power source fail. Where can the Flip-Up Flood Barriers be installed? They are best for big industrial sites where manning every entry point is a big challenge. Likewise, they will work perfectly for open spaces where an automated flood control system is required.